This single-family home is located at 479 Rolling Valley Ct, Charlottesville, VA. 479 Rolling Valley Ct is in Charlottesville, VA and in ZIP code 22902. This property has 4 bedrooms, 2 bathrooms and approximately 2,369 sqft of floor space. This property has a lot size of 9,365 sqft and was built in 2002. At least 156 Trulia users voted on each feature. "My apartment community welcomes dogs and has a dog park. There are also several other dog friendly parks around Charlottesville"
"Live here for over 30 years. Great location, easy to get to where ever you want to go. Downtown mall, restaurants, City Hall, movies, library UVA all close by and with in walking distance. Easy access to 29 north and interstate. " "There many families and there is a pool, you can walk if you have to but a car is good. The seems safe but had car checked. Lock your doors"
"Fantastic public transport but also decent access to major roads into town; also very easy to order Uber’s or taxis. " "I’m just visiting Charlottesville, but my family lives here and I lived here about 17 years ago. Great place to raise a family "
"My commute is 10 minutes max to UVA, but I can walk to UVA in 30 minutes. Many stop lights along JPA sometimes hold up traffic"
"Pretty short, though a lot of stop and go during “rush hour”. Not bad at all compared to a much bigger city I used to live in. " "Cool place to be ! Can be busy during the day but clears out at night! Busy road though! Have fun! Wow long review!" "Drive 5 minutes to work or public transportation right across the street or walk in 15 minutes on nice days"
"Even with being highly patroled by Albemarle county Police, people do speed and run the stop signs around here. So children need to be extremely careful. From time to time older kids come to the neighborhood and bully the smaller children. But all the parents and neighbors address those situations very quickly. " "Lots of dog owners around...pet friendly area. I own a dog and know most of my neighbors do as well. Everyone seems to pick up after their pets as well, so I don’t feel uncomfortable having my kids play outside or talk walks with me either. " "Belmont is a hip, mixed income neighborhood nearby to downtown, restaurants, parks and more. It’s a great place to live." "10 minutes with traffic. Easy. Could ride a bike instead and may be faster. Option to either go through town or on highway bypass. " "I love living in the lakes. People watch out for you, the scenery is gorgeous and it's just very pleasant." "There are many family friendly places for kids to enjoy themselves and adults to have a great time as well!" "My commute is far because I work out of town. This neighborhood is close in to downtown Charlottesville "
"I drive my car everywhere I need to go. I never take public transport anywhere. It’s about a 5 minute drive downtown and 6 minutes go Wegmans. " "The Frys Spring beach club have concerts and once a year the Main Street shuts down so that we can all ride our bikes without cars." "My boys get to visit with other dogs (their friends) and neighbor children. And they get to build messages on the plogs. Lots of fun"
"This neighborhood is one of the best kept secrets of Charlottesville. It is extremely quiet and about as close as you can get to the university. The homes are charming, the people are lovely and all you hear when you wake up in the morning is the sweet song of the birds and the distant chimes of the chapel clock. " "Beautiful houses, doesn't feel like I'm right outside of a bustling college town. Friendly neighbors, all with well-maintained properties." "don't know never lived there only visited with some family and friends seemed nic e and very quiet seems like s nice place to live thinking of buying a home here"
"A safe, quiet area which is a peaceful haven next to the University. " "I live in Fifeville and walk to work (UVA) and the Smith Aquatic Center. I feel safe even in the dark. I'm able to find close street parking to my house. There are singles, couples, families and retirees in my neighborhood. The city of Charlottesville boasts a wide array of activities, art and culture." "Historic area of Fifeville. Neighborhood has become gentrified over the last 5 years. Roads are one way which causes some traffic concerns. Clean homes and lawns." 479 Rolling Valley Ct, Charlottesville, VA 22902 is a 4 bedroom, 2 bathroom, 2,369 sqft single-family home built in 2002. This property is not currently available for sale. 479 Rolling Valley Ct was last sold on Jul 2, 2010 for $329,900 (3% lower than the asking price of $339,900). 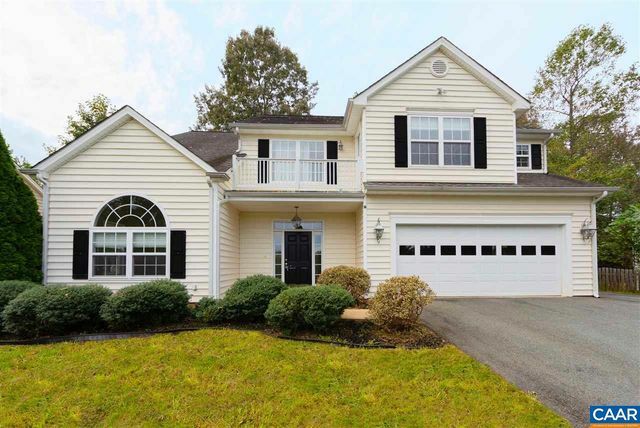 The current Trulia Estimate for 479 Rolling Valley Ct is $376,833.